A computer built for the National Nuclear Security Administration by IBM has just been crowned the world's fastest supercomputer, according to the Top 500 Supercomputer list—stealing the lead back from Japan's Fujitsu-designed K computer. 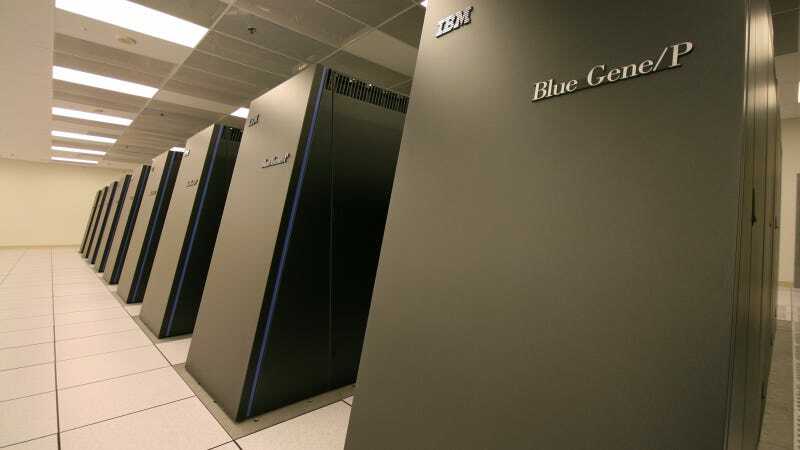 The NNSA computer, called Sequoia, is based on IBM's Blue Gene/Q architecture and manages to reach 16.32 sustained petaflops— that's 16.32 quadrillion floating point operations per second. That blows away the K computer, which only—only!— manages 10.51 petaflops. IBM offers an alternative explanation of its performance, explaining that '"three billion people using a pocket calculator would have to perform one million operations per second to reach equivalent SuperMUC performance." Wow.